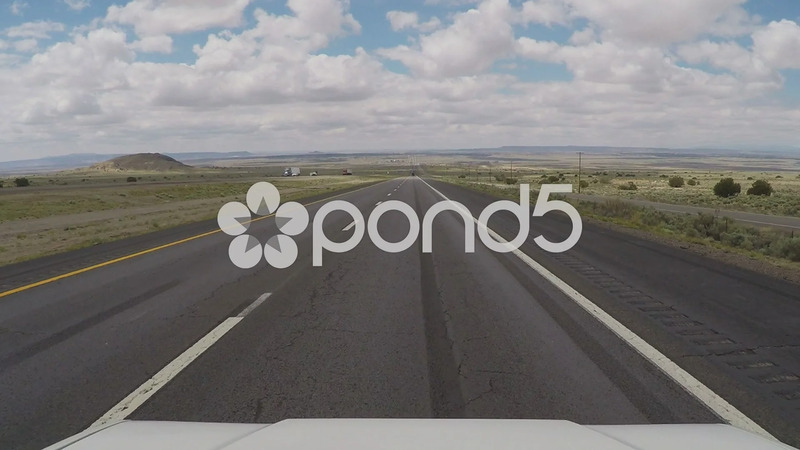 Description: Viewpoint vehicle driving shot of Interstate 40 in Northeast New Mexico. Point of view of driver descending from the mountains onto the flat plain. Part of a series of clips by ChromaVid featuring point of view driving stock video.